It feels odd to be walking on rocks which are younger than you are. And this is easy to do in Hawaii even if you have only just learned to walk. The youngest rock we walked on was 7 weeks old and the National Park Ranger apologised that it was so old! Usually they have stuff which is much younger than that. To prove that it was recent one of the rangers poured some water down a crack and steam came out! 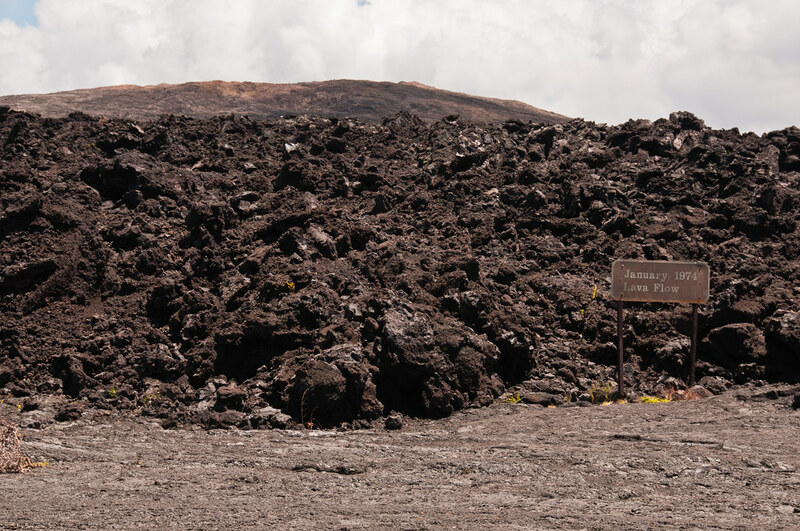 Here the lava has flowed over a road – not an unusual occurrence on Hawaii. 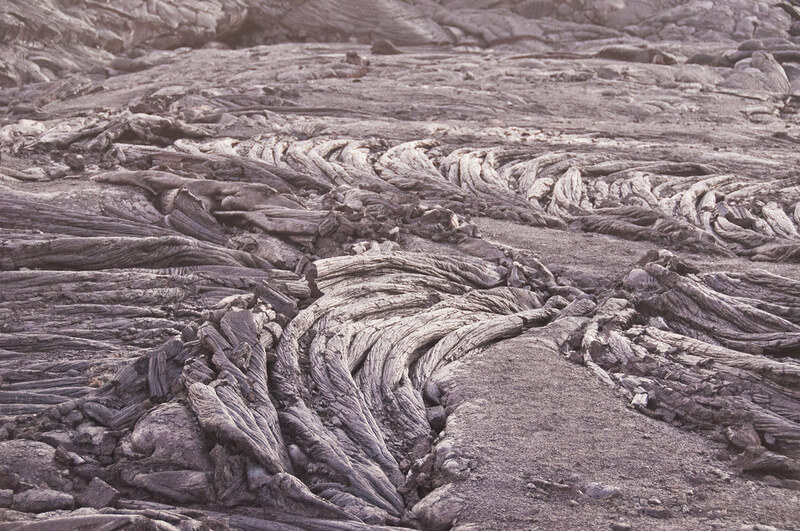 It is a pahoehoe lava, that is it has a smooth surface and is relatively easy to walk on. But the people of the area are used to volcanic activity and some refuse to give up their land when it is covered. They still own their plot and rebuild but this time at a slightly higher level. They can do this with the knowledge that Hawaiian volcanism is very benign – you are very unlikely to be killed by explosive activity. 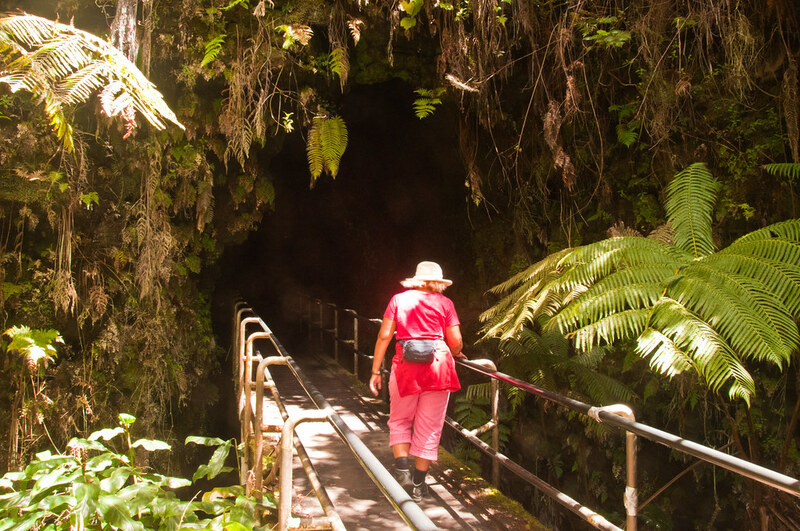 You can walk away from an advancing lava flow. The other sort of lava is Aa lava. Chemically it is the same as pahoehoe. It may have lost some gas and may be a a few degrees cooler but this is sufficient to give it a very different appearance. 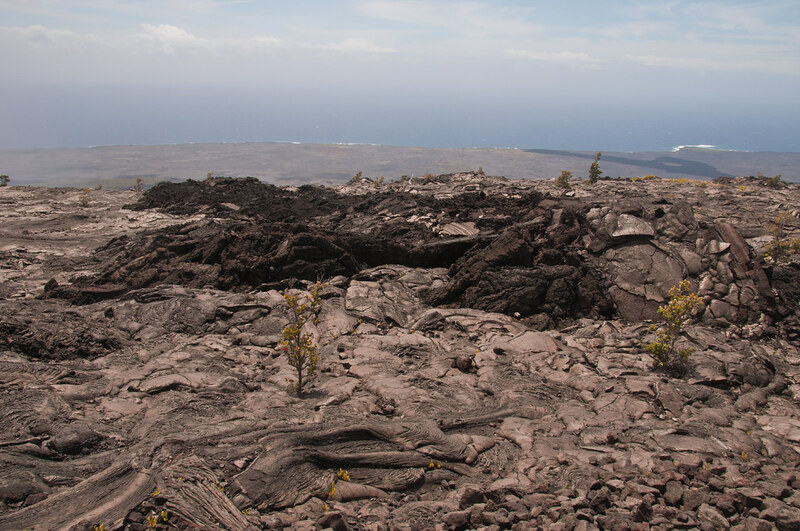 Indeed you can find a single lava flow with both pahoehoe and aa manifestations. But mostly a flow will be one sort or the other. Aa lava flow. 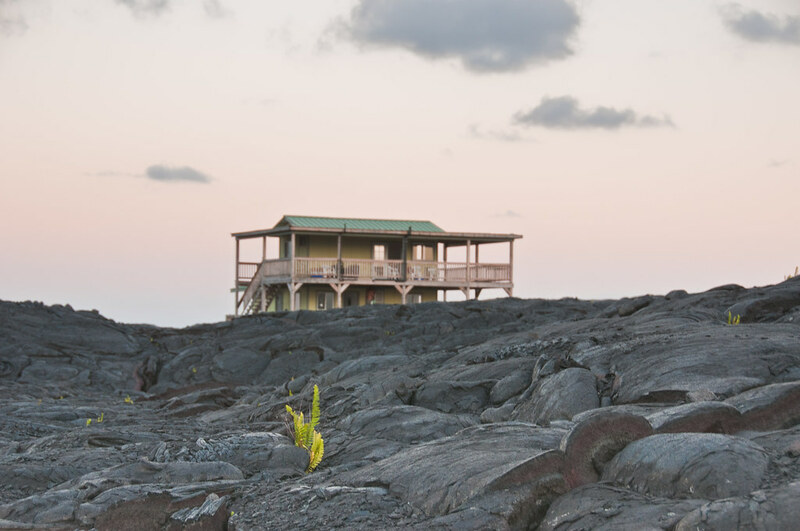 Mauna Ulu in the background. 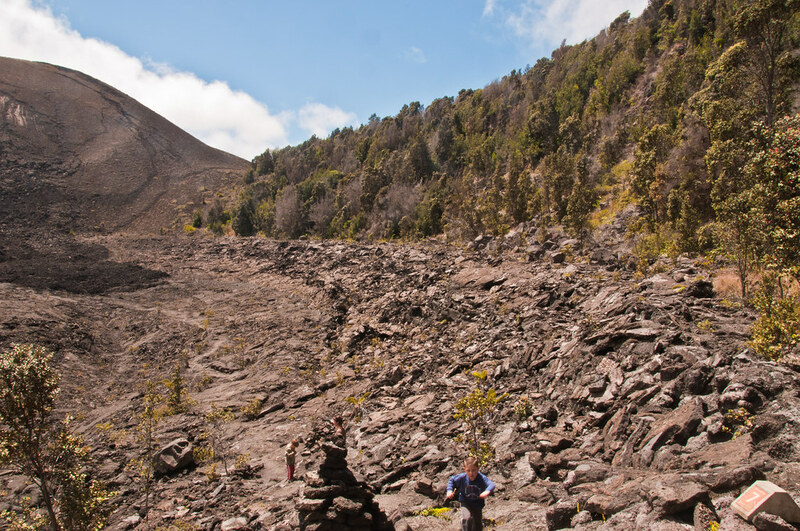 Walking across pahoehoe is easy – walking across aa is extremely difficult. While we were in Hawaii there was a distinct lack of volcanic activity. Just before we arrived there was a surge of activity which drained the magma from higher levels and stopped the lava flows towards the sea. So I am afraid there are no dramatic pictures of lava falling into the sea but there was still a lot to be seen. 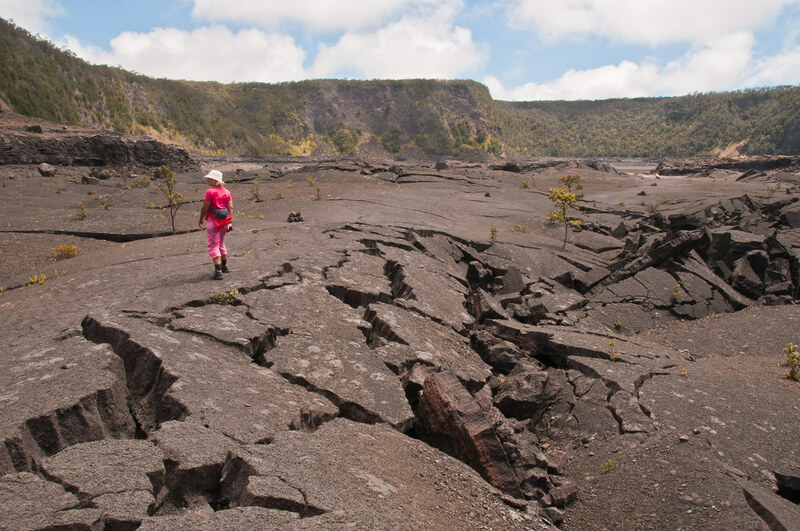 One of our trips to the Volcano National Park was to look at the Kilauea Iki Caldera. 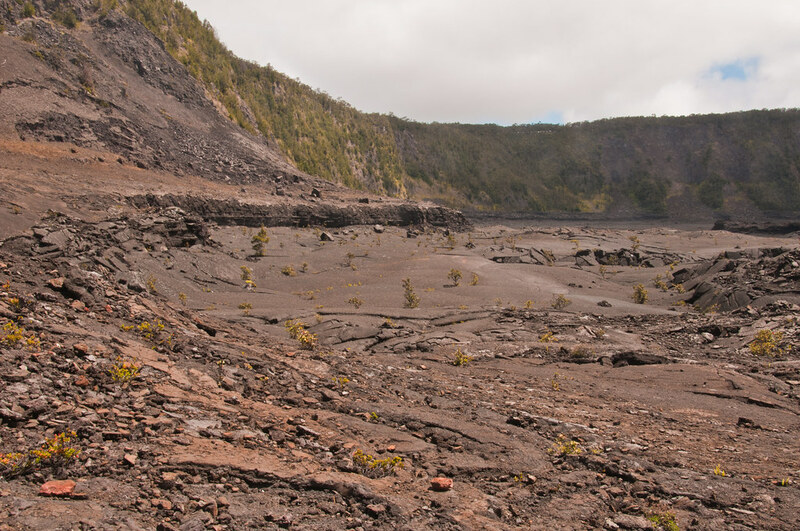 This is close by the main Kilauea Caldera, only being separated from it by a low ridge. This filled with lava in November 1959, the lava coming from a source at the edge of the caldera. 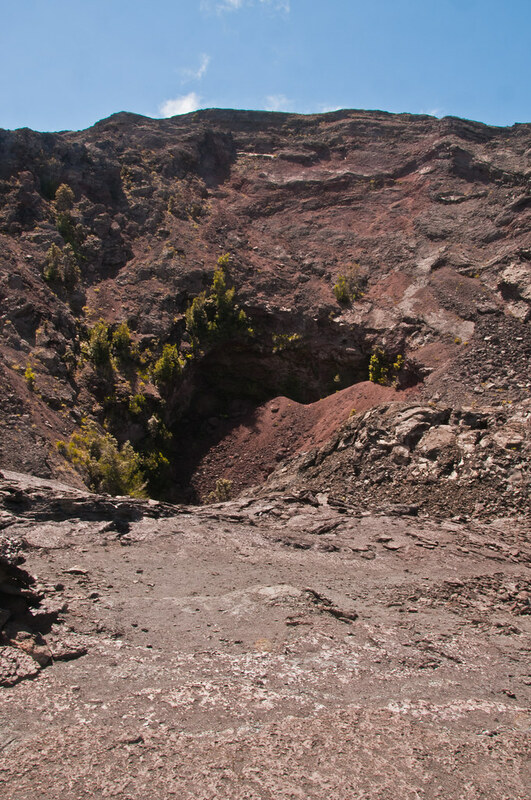 The lava filled the caldera to a depth of 150m and then the level dropped by 15m. You can see the the “bathtub ring” or lava subsidence terrace round the edge of the caldera. The lava is an olivine basalt with lovely, fresh, olivine phenocrysts. 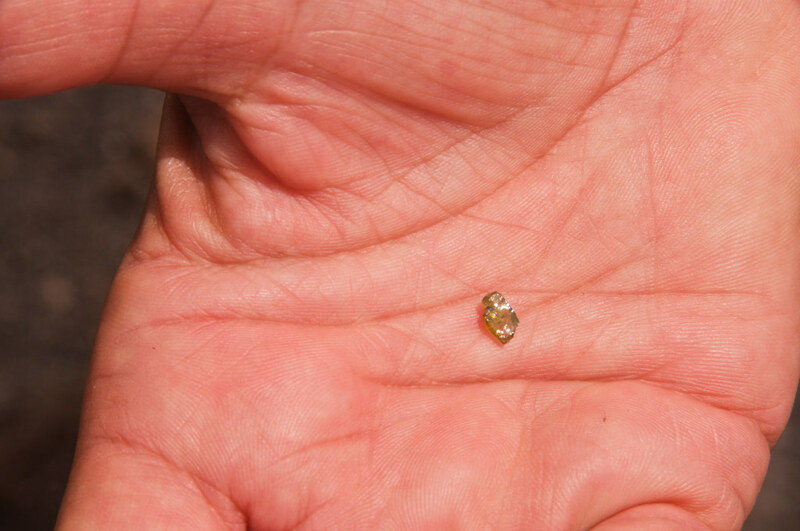 Obviously the olivine crystals were present before the lava erupted. When the magma was in the magma chamber solid olivine crystals started to form and these were erupted as part of the lava. 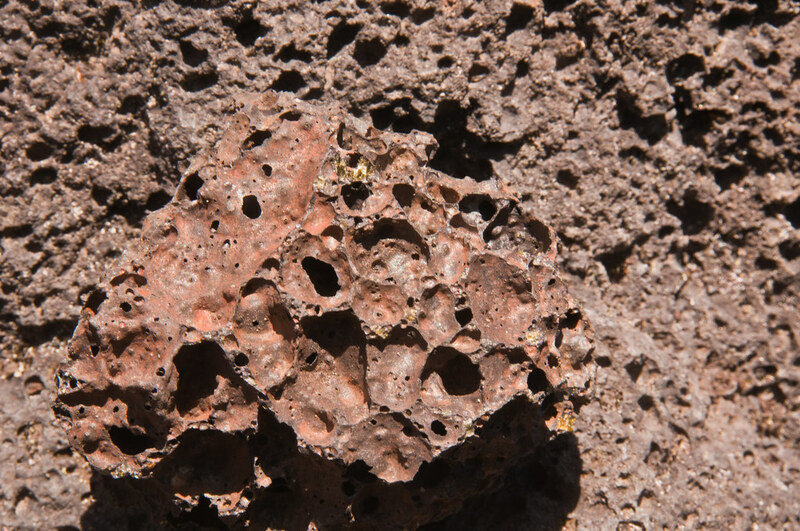 The lava cooled quickly to form an extremely fine grained rock with large olivine crystals in it. Fresh crystals can be found in the regolith. The marked trail leads across the caldera floor. We are assured that the lava was totally solid by 1990 – but of course it is still hot. 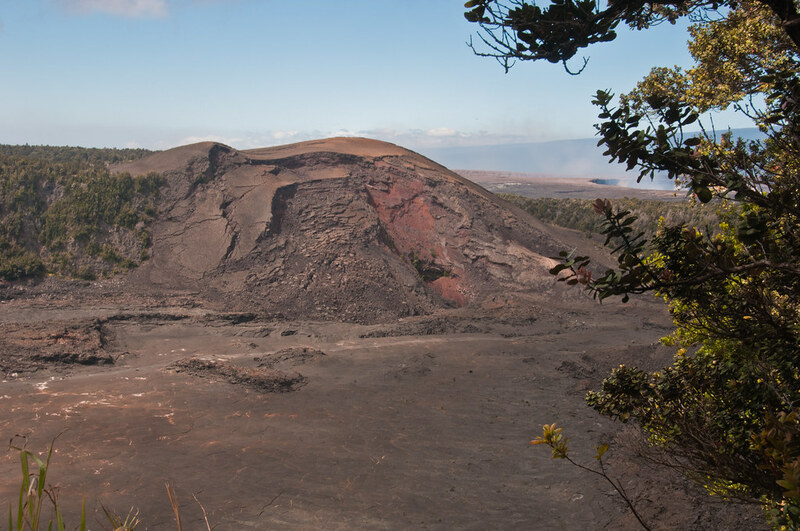 The activity at Kilauea Iki was confined to a short period. It started on 14 November 1959 and ended 2o December of the same year – just over 5 weeks. Since then all has been quiet. 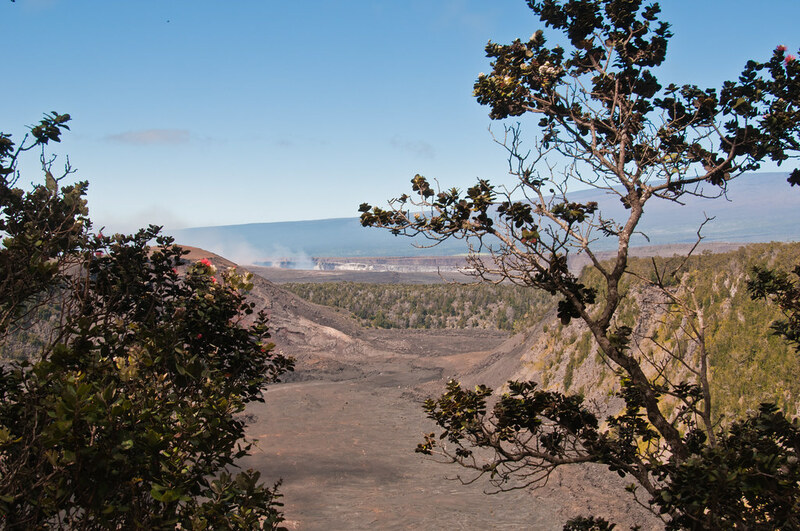 Looking along the length of the Kilauea Iki caldera. 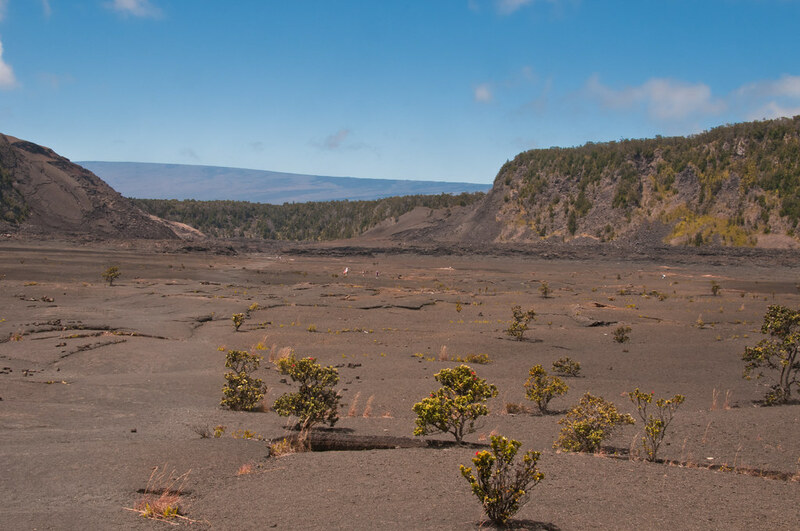 In the distance is Mauna Loa which reaches 14,000 feet, 10,000 feet above Kilauea. In Hawaii heights are deceptive. There is a wonderful historic film of this eruption. It comes in four chapters each of which follows on from the previous. 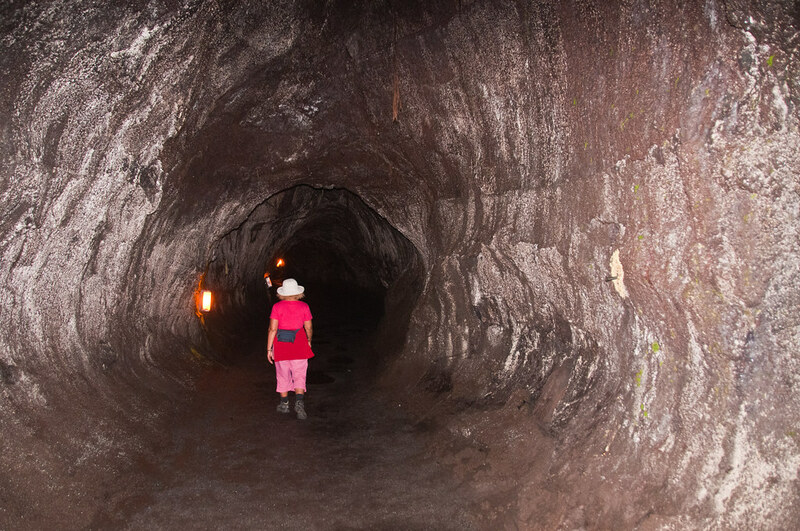 Once you climb out of the caldera you are very close to the Thurston Lava Tube. 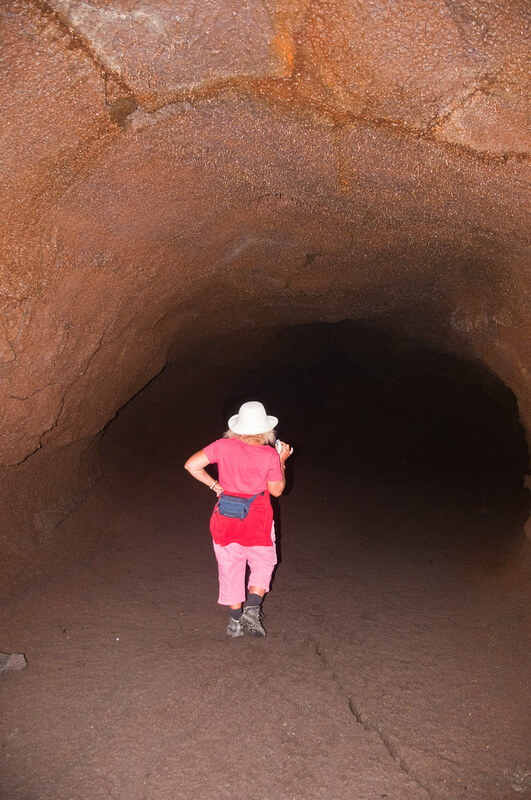 Lava tubes are formed when a lava flow cools on its surface while lava continues to flow in the still molten interior. When lava stops entering the tube the lava continues flowing leaving a tube. 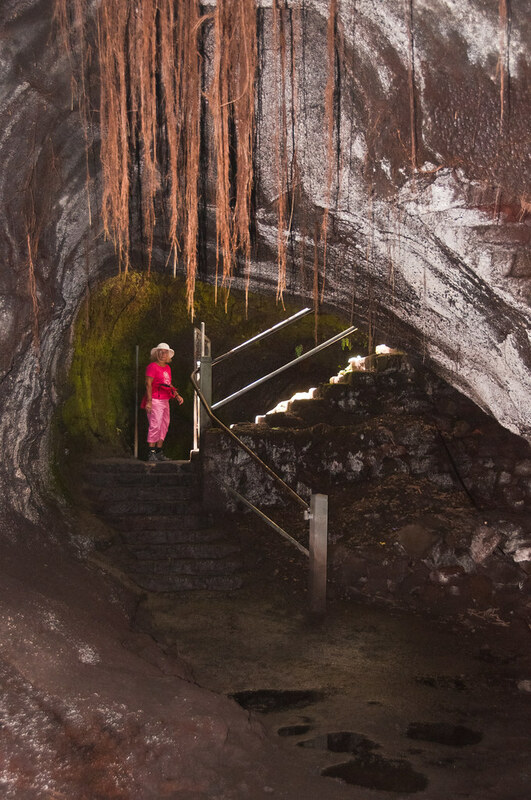 Lava tubes are quite common in Hawaii, although most are not as large as Thurston. 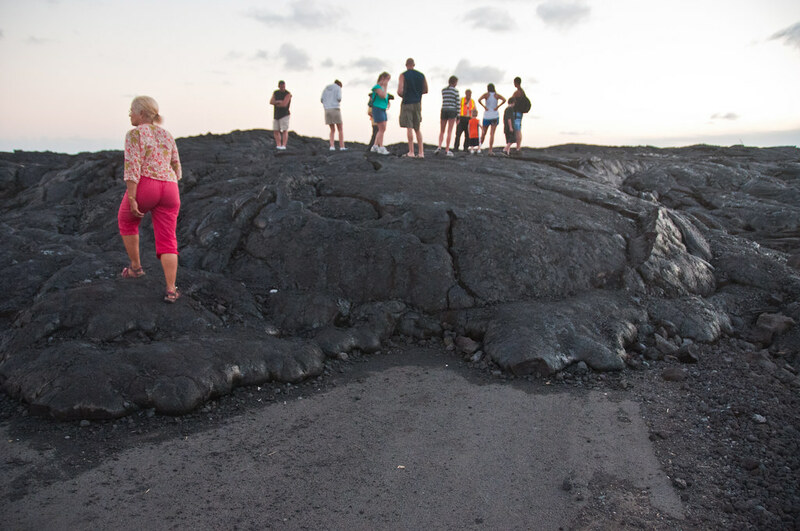 They insulate the lava as it flows so the lava keeps a low viscosity longer and therefore can travel further. This moves lava from the mountain to the coast very efficiently and so is one reason that the Hawaiian mountains have such a gentle profile. The tube is in two parts – the lighted part and the unlighted part, which is a dead end. We, of course, did both. 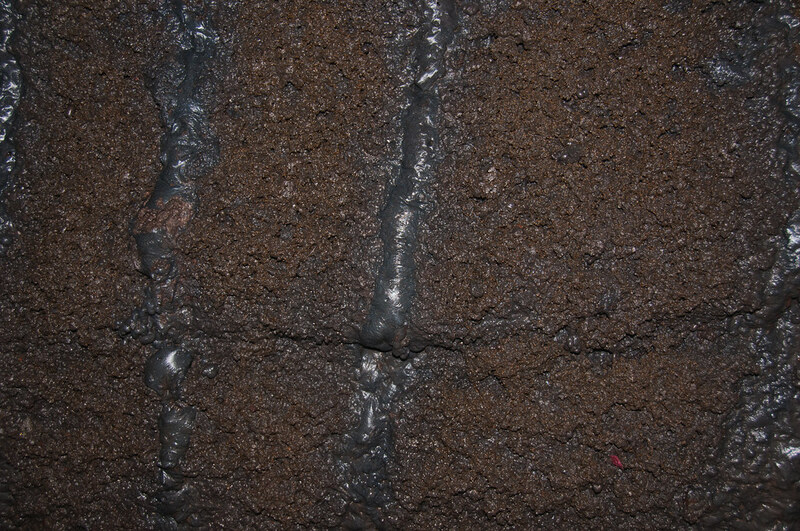 When the tube empties, it is, of course, still “wet” so the lava dribbles down the walls until it solidifies. This post is quite long enough. So there will be another post soon. love the videos of the eruption – especially the one with the geologist going to get samples in his hawaiian shirt!